A Raffle Drum Perfectly Sized for your Event! 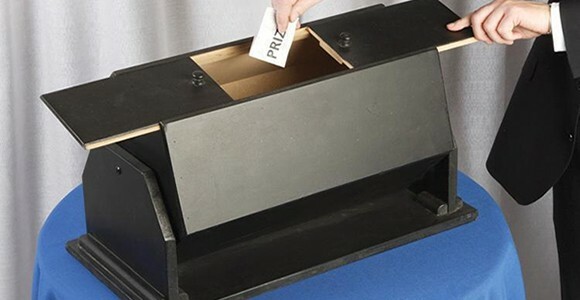 Make sure that you complete your professional raffle or drawing with a Raffle Ticket Drum. Never been in charge of a raffle before? Don’t worry, it’s easy. Simply sell the double roll raffle tickets to your guests. Rip the ticket and give the guest one side, and you place the other into the raffle drum. When you’ve complete your sales, just spin the raffle drum to mix up the tickets, then open the gate and pull out the winning ticket!